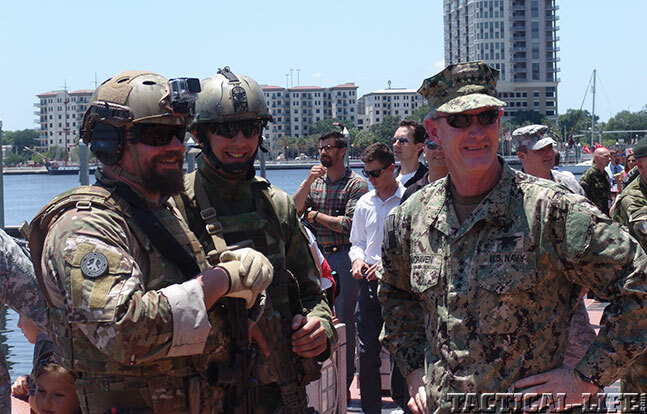 American and allied operators demonstrate their capabilities at the 2014 SOFIC expo in Tampa! 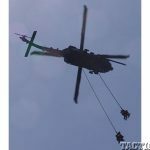 An MH-60 helicopter helped transport several of the operators for the skills demonstration. 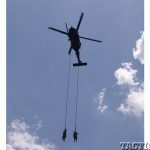 This utility helicopter is the one most used by the military for combat operations. 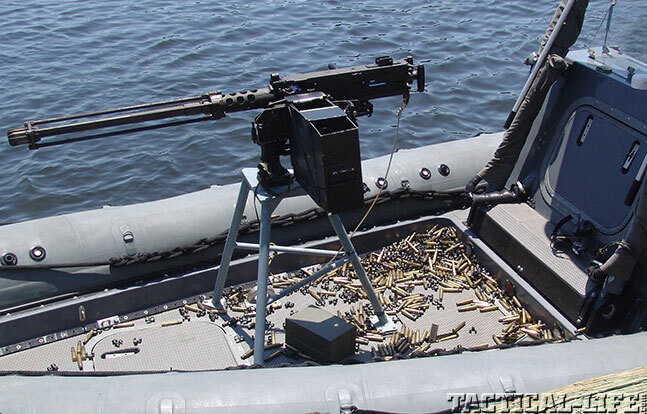 The forward .50-caliber M2 machine gun on this rigid-hulled inflatable boat (RHIB) shows the part it played in the skills demonstration, with plenty of spent brass and links on the deck. 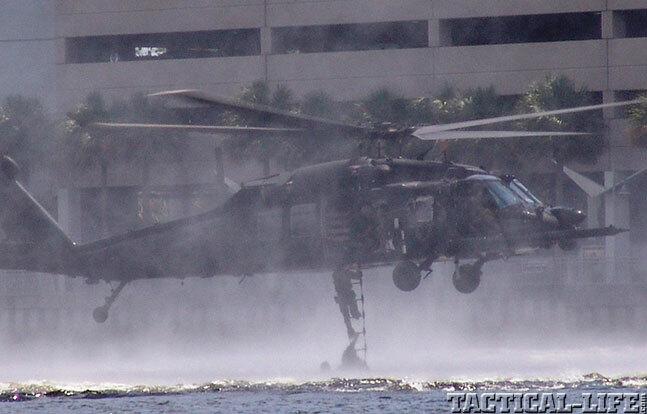 Here a Black Hawk helicopter pulls a team out of the water after a combat swim during the demonstration. 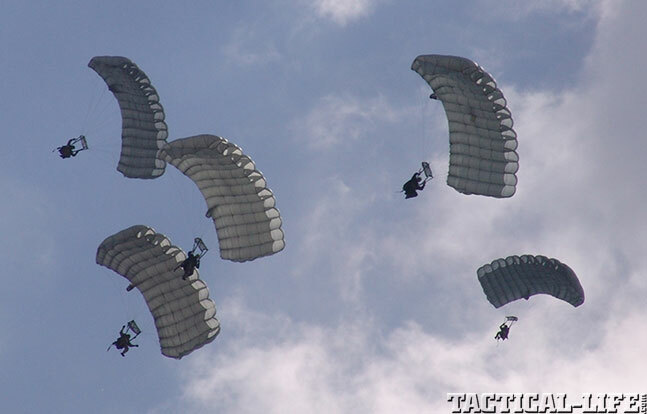 Several insertion methods were showcased during the demonstration, including parachute, which is risky and generally only considered if no other method is possible. 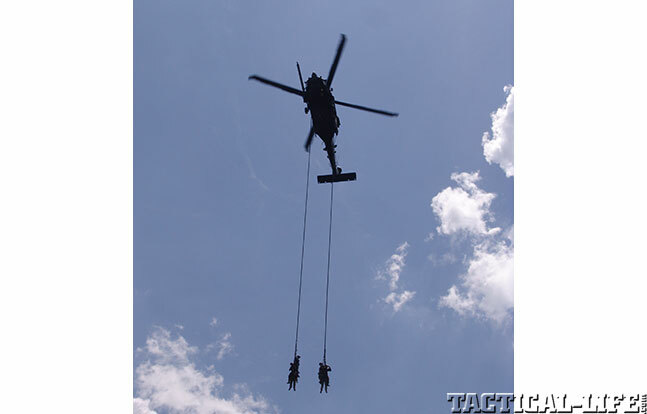 Getting out of trouble safely is extremely important in special operations. 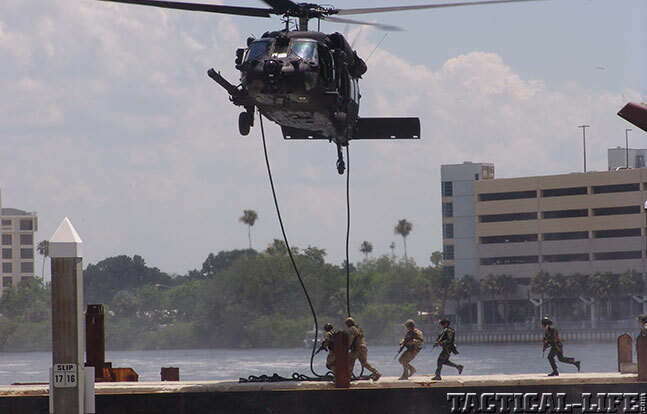 Here eight operators leave the SOFIC demonstration attached to two ropes. 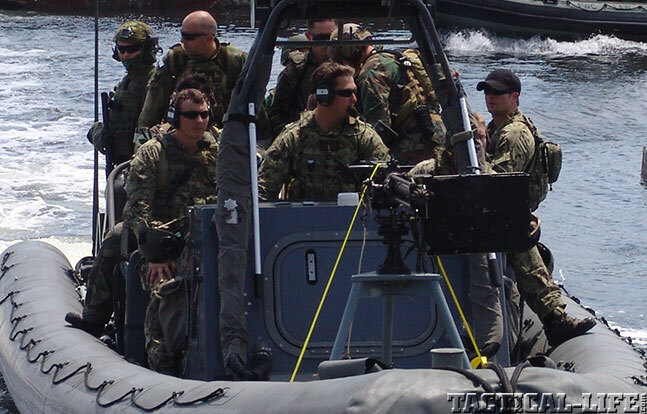 Rigid-hulled inflatable boats (RHIBs) are used heavily in Naval Special Warfare operations. 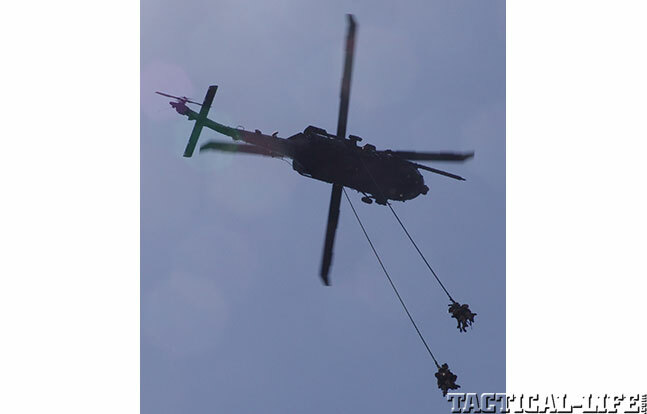 Here you can see the Special Purpose Insertion and Extration (SPIE) rig, which is used to hook up and haul up to eight operators from a fight. Admiral Willaim McRaven (right) met with the operators after the exercise was completed. 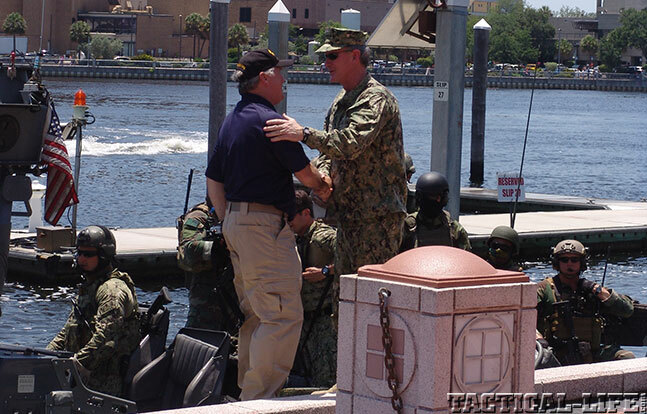 Admiral William McRaven (right) thanks Tampa Mayor Bob Buckhorn (left) for helping out with the capabilities exercise. 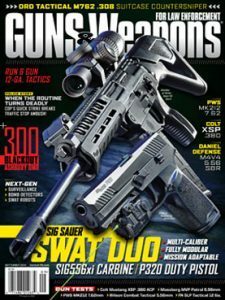 The 2014 Special Operations Forces Industry Conference (SOFIC) and the International Special Operations Forces Conference (ISOF)—held at the Tampa, Fla., Convention Center May 20-22, 2014—featured several symposiums and discussions with both American and allied special operations teams, as well as an exceptional gear exposition. 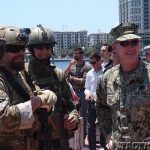 This year’s SOFIC conference theme was “Strengthening the Global SOF Network.” As part of that theme, an extensive and broad-spectrum capabilities exercise was performed in downtown Tampa. 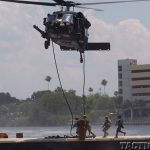 The exercise showcased several facets and capabilities, including precision parachuting, fast-roping, insertions and extractions via special watercraft and helicopter, and finally, an aggressive assault by a team of multi-national operators to free one very specific hostage—Bob Buckhorn, the Mayor of Tampa. One notable guest, the commander of U.S. Special Operations Command (USSOCOM), Admiral William H. McRaven, attended the event to provide his perspectives on the challenges facing the special operations community, its trends and interests, and how industry partners can help support these areas to strengthen the global SOF network. 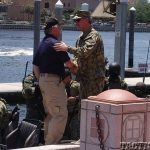 And, after helping moor the boats used in the skills demonstration to the dock next to the convention center, Admiral McRaven also greeted each of the operators after the exercise. 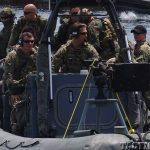 Overall, the demonstration offered attendees a brief glimpse of just how effective American and allied special operations personnel, equipment and tactics are in combating terrorism around the world. 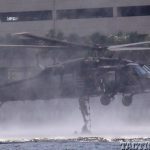 However, instead of striking silently in the dead of night, the massive midday crowd was provided a well-narrated performance in broad daylight around the convention center involving boats, helicopters and ground vehicles. 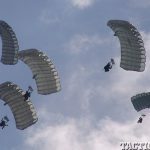 Check out all the photos and watch the video posted here to see the simulated deployment and its quick resolution. 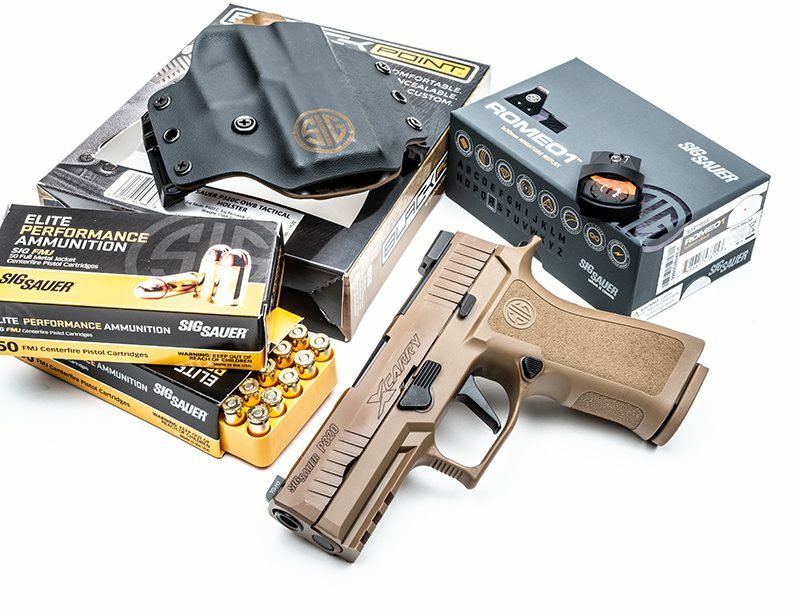 You’ll see some of the world’s best operators in action. 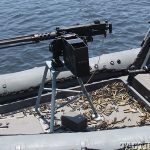 On a daily basis, they work hard to locate and eliminate well-armed terrorists and national threats in every environment imaginable.